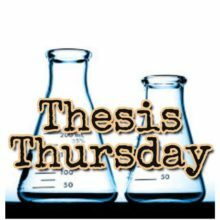 Thesis Thursday airs six times every Thursday and features students sharing their research from the University of Arizona’s Department of Soil, Water and Environmental Science as well as the Undergraduate Biology Research Program (UBRP). Your hosts for the program are Mónica Ramírez-Andreotta, Assistant Professor, Department of Soil, Water and Environmental Science, and KXCI host, producer and instructor Bridgitte Thum, who will be interviewing two students per week. Tune in for twice the Thesis Thursday, our main featured mini-program on that day of the week! History: Since 2013, The University of Arizona’s Undergraduate Biology Research Program has partnered with KXCI 91.3 to produce “Thesis Thursday,” a weekly segment featuring student researchers talking about their undergraduate thesis projects, or research projects while working with University professors. Students describe their research, their overall goals and career interests and where they think their research will lead. They also get a chance to share their music and interests that motivate them. Created by Cathy Rivers, engineered and produced by Bridgitte Thum.